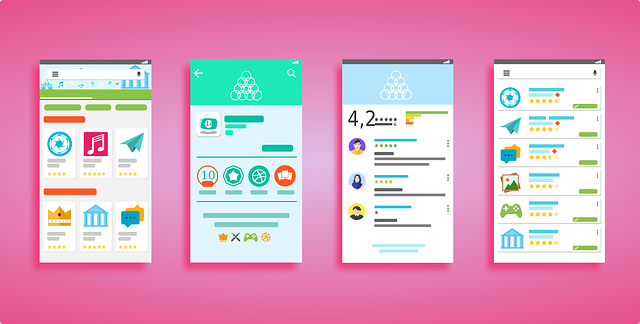 Once you have been in the world of mobile app development for a while, there is a high tendency that you must come across the idea of technology stack in one way or the other. Technology stack is a compulsory factor that all mobile app developers must be acquainted with it no matter what. No matter the kind of method you select for the development of mobile app, once there is an error in the collection of strong and stable technology stack, the required results will not be attained as requested. The technology stack involved will determine the success of any mobile app in the future. Before I go further into the topic of the day, I need to give a brief definition of what technology stack is and what it is all about. Technology stack can be defined as a set of programming languages and software that are required in the development of web or mobile app. In a situation whereby there is a robust technology stack, the most efficient results can be obtained by the developers carrying out the process. It can also be said to be a broad array of programming languages, interface designing tools, database servers and intruding technologies that are involved in the creation of an app. This is the collision point of interfaces and libraries in order to design and develop the application. This part takes the responsibility of taking the user input, processing this input, and then converting it into an output. This is said to be that interface of the mobile app that allows good interaction between the users and the app. This area section involves the technology requirement which is responsible for triggering features like mobile app security, performance, and stability. Now we have reasonable information about what technology stack is, it is now time to look at reasons why it is important to select the best tech stack for a mobile app. The selection of the perfect mobile app tech stack depends deeply on the number of elements. The technology combination that is to be chosen is very crucial in the process and will determine the probability of robustness of the app. The selection of the best mobile app tech stack depends deeply on the number of elements that are involved in the process. The combination of technology chosen for the app development is what will determine if the app is robust enough or is capable of running on different operating system versions. Performance and future growth prospects can be affected in a negative way by wrong decisions with respect to the choice of the best technology stack for the mobile application. There are factors that influence the choice of technology stack. These factors are what will assist in determining the tech stack and allow you to make the best decision on the tech stack to use for a preferred app. They are as follows. The parent company of the technology stack that you will be working with has a big role to play in the decision making. There are many brands that provide users with lots of better documentation and community support than the others will, such as Google, Microsoft, and Adobe are popularly known to provide its users with better community support and advanced development options than Facebook with React Native. There are a number of languages that always provide the same result but along the line will have some differentiating factors that separate them from each other. It is recommended that you rely on the developer’s skill set in a situation whereby there is a decision to be made between two tech stacks that are similar. The cost of mobile app development, as well as development effort and time, will be increased whenever a tech stack that your team is not familiar with is introduced to them. Security is a major factor when it comes to the technological aspect of life. The mobile apps of nowadays are all equipped with the necessary tools to fight away any form of obstruction or breach of security protocol that might come in contact with the app when it released into the market. This will not be able to be achieved when the tech stack is chosen is not documented properly and needs to be written in long codes which and this increases risk during app development. The skill of the developer is very essential in the process. The main objective of the app is of great importance in the technology stack that is been chosen by a developer in order to develop the app. Consider this, the technology stack required to develop an app with high latency will be different from the one used to develop an app with low latency. Robust technology stack will be required when an app depends on heavy load processing. The technology stack of an app that can only run on one platform would have some differences with the one that runs on all platforms such as Android, iOS, and Web. For your app to be able to run on different platforms you will need to achieve a certain level of scalability and this would require a different toolset in order for the required result to be achieved. These factors are what will provide you with options that will help determine the perfect technology stack for a particular mobile app on the phone. It is not an easy process; this requires patience, time and concentration. How to develop a low-cost mobile app using hybrid/ionic platform?